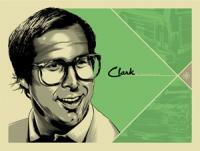 Clark Griswold had the most liked content! 2 This photo sums that up perfectly: An ally flying a new modern tanker, refueling a new modern C2 platform over an AOR supporting combat ops now... while we put 500 million dollar radars in 40+ yr old 707s using old motors, just now getting a very basic flight deck update being refueled by 50+ yr old tankers... On fleet density vs larger fewer platforms... valid point. Keeping it real and trying to minimize risk, replace the E-3 with the E-7. Good enough to support American platforms in a Coalition, good enough for the USAF to fly now. Smaller platforms to replace JSTARS, G-650 based sounds fine. EA / ELINT G-650 also. RIVET / COBRA / OPEN SKIES / CONSTANT PHOENIX etc...probably needs to be a 767 based platform for range, size, power, space, etc.. I don't think it is a matter of cutting but the best / least bad allocation of finite resources to cover all the missions / responsibilities assigned to the AF. Not sure if the author of the article is going to to follow up with his argument for another large manned aircraft with a discussion on what the requirements would be but from the cheap seats... - Range / Endurance: at least 4000 NM in mission configuration / 10 hours endurance unrefuelled - Open Mission Architecture / Sensor flexibility / Growth potential - Other capes (AR, Self-defense suite, etc..) Basically a 737 NG platform. From War on the Rocks: https://warontherocks.com/2019/04/air-force-manned-reconnaissance-at-a-crossroads/ From the article: The world today isn’t the Cold War world of yesterday, and Cold War requirements should not justify acquisition of new assets for tomorrow’s military needs. The RC-135’s innocence has long been compromised as it has evolved from its original peacetime role into a valuable combat asset, but both missions must be performed in the future. No single replacement solution can meet both of these disparate operational requirements. The U.S. Air Force must look beyond its obsession with warfighting to identify and procure a second manned big-wing peacetime replacement for the RC-135. Overall the article was pretty good but the last point (last sentence of the article) I thought made a particularly interesting point, I think obsession might not have been the right verb for the AF approach, prioritization on warfighting (major conflict preparation has to be number one but not necessarily one that takes up a disproportionate amount of resources from other missions, contingencies, etc..) but it made the point that not everything is peer v. peer with double digit SAMs and 4/5 gen fighters weapons free lobbing missiles at anything that flies, there's a range of military operations. Big Wing ISR/C2 may not fit into peer v. peer on Night 1 anymore but has a role to play in AF/Joint ops across the range. Recap would not be cheap but a new Iron Triangle based on a common platform (ideally) seems reasonable. Thoughts? Concur Two engine fighters could provide some capabilities the F-5s, A-4s, etc.. might not be able to provide, the high fast flyer profile but if the customer wanted that they would have asked for it. Not sure if MiG-29s could deliver that repeatedly without causing over-taxing engine use (early overhauls, replacement, etc...), there might be some platforms divested from other AFs that would be supportable, F-4s maybe Mirages but cost would be crazy for a particular threat profile vs. a more generic one Cobham has some interesting platforms for delivering ADAIR, particularly the Falcon 20 based platforms with EW pods https://www.aerosociety.com/news/flying-for-the-dark-side/ Surprised the American providers haven't looked into this as it seems the most cost effective BVR threat replicator platform. If only there was an aircraft designed to provide Attack, Observation and ISR in one airplane, ideally suited to combating VEOs in COIN & LIC, inexpensive to fly, low technical risk, easy to operate and capable of delivering a variety of effects (observation, strike, multi-int ISR) in one platform and on every mission.... This aircraft could even have an open architecture and be flown by CAF and SOF, customized for each. One might want several FMV sensors, A2A radar and the other a SAR and EO cross-cue capability, space and power for other systems in a compartment... The units equipped with this plane, could train almost exclusively for this mission set and get really good at it, allowing 4/5 gen equipped units to focus training mostly on high end fights, there could be cross-flow between these manned platforms and experience in operations across the spectrum could be gained... Sarcasm rant - Complete (P). Directed at the AF, not anyone on this thread.